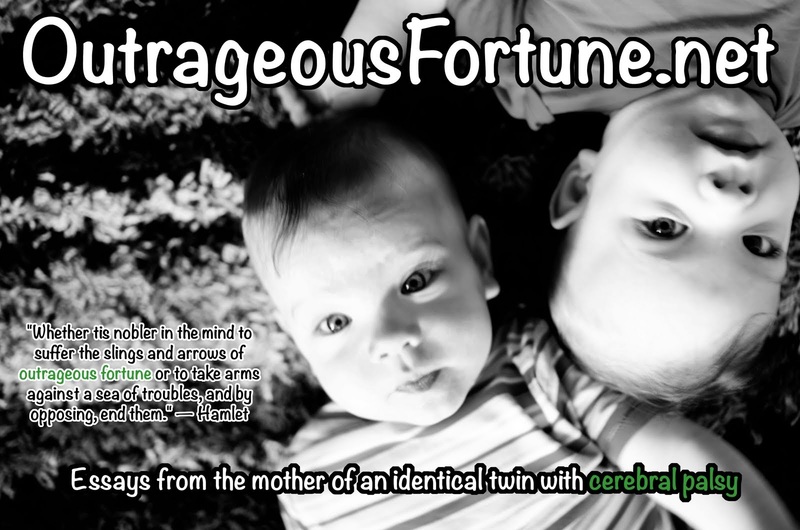 Outrageous Fortune: What is extrapyramidal cerebral palsy? Before I had Malachi, I thought that "special needs" or "disability" was sort of one big monolithic thing. 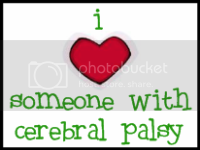 I didn't know anything about cerebral palsy, but I think if you'd forced me to define it I would have said it was an inability to walk, or something really clear and defined like that. Now I know that cerebral palsy is pretty much anything, from a barely noticeable speech impediment to a complete reliance on technology to perform such tasks as eating and defecating. So many different things can be affected either directly or indirectly by brain damage that early in life and there are so many different parts of the brain that can be affected, and all to varying degrees. Malachi's "brand" of cerebral palsy is called extrapyramidal. We were told this last year when he was officially diagnosed with CP. Since then, other medical professionals have used the terms "mixed," "nonspastic" and "athetoid" to describe his CP. Extrapyramidal refers to the structure of the brain that was affected. It is a relatively rare diagnosis, about 10-15 percent of cases. It is deep in the brain so it is unlikely to affect white brain matter, which is cognition. Because of the brain parts affected, patients either present as "nonspastic" or with a mix of spastic and nonspastic muscle tones. Most people with CP are spastic in some way. I have no experience with spasticity, but what I've gathered is that their affected muscles are near-constantly clenched and there's nothing they can consciously do about it. Even in their sleep, that muscle is clenched. (The origin of the profane "retard" chest thump with a bent wrist is a spastic hand movement.) If you would like to learn more about life with spasticity I recommend this blog or this blog as they obviously has more idea what it's about than I do! Malachi has uncoordinated movements and either too much or too little tone at any given moment to accomplish a task effectively ("mixed") but he isn't spastic. When he is sleeping or at rest, there are no muscles that are clenched and he has full range of motion, so he is nonspastic. Athetoid is one of four types of unusual movements that people with damage in the extrapyramidal part of their brain display, the others being ataxia, dystonia and chorea. I regret to say that I have no good information about what athetosis is. As soon as I think I understand it, I talk to a different medical professional and they say, "Oh, no, that's not it." I've come to the conclusion that there is no standard, globally understood definition for athetosis. When I have interrogated my (very learned) PT about this diagnosis conundrum, he shrugs and says it used to be called simply "mixed" and that it doesn't really matter what you call it. It doesn't, really. But, really, it does. * Please keep in mind that I'm not a medical expert in any way! If you are or you have a different understanding of these terms, please tell me about it in the comments. I'm very open to discussion and possible corrections. And if you're an adult with any of these diagnoses I'd love to talk to you! This is the first time I've heard the term extrapyramidal, but now I'm wondering if THAT is the right word for what my daughter's flavor of CP is. Interesting. We were told she has dystonic by one neurologist - but she doesn't have dystonia. Athetoid definitions I've fond sometimes fit, sometimes don't. We know that she has SOME damage to her basal ganglia and that's pretty much it. I actually have been brewing a post in the back of my mind about how it seems most guides/resources are for kids with spastic CP (understandably) but my kid isn't and about something my kid's PT said to us yesterday. 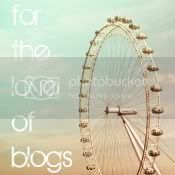 Yet again, I'm glad I've found your blog - this info is really valuable! BTW, what is your understanding of what "athetoid" means? Very interesting. D has been diagnosed with spastic diplegic, but it doesn't fully seem to fit. He's a little spastic, but not a lot, somewhat dystonic (in one leg), seems to be a bit ataxic too and his levels of ability ebb and flow dramatically day by day. He's all mixed up. I wonder if that would be a better label. Either way he is what he is in all his awesomeness, but it'd be nice in a way to have a label that seemed to really properly fit him. Your son looks very young. He may level out a bit more soon. But I think it's pretty unusual for people with CP to vary "dramatically" day by day. Are you sure about the CP diagnosis? He's nearly 2.5, I'm just really bad at keeping up with blogging :P. He had an MRI confirming mild PVL and isn't walking at 2.5 so it's very clear something is going on :). He received his diagnosis from a local doctor we trust (in physiatry), but he definitely doesn't fit into any simple definitions neatly. We are looking into whether there's another (or other) issues that are compounding his difficulties. Abel also has extrapyramidal athetiod Cerebral Palsy. Interesting that they diagnosed extrapyramidal without an MRI for Malachi. Athetiod everyone has said just meant mixed tones and is usually associated with a type of birth trauma. I met a girl who was ataxic and that was such a huge difference from what Abel has. It did not seem like even seem related. It is interesting. I guess it's just because of how he presents. But Abel looks so much like Malachi, I have to assume they have the same dx. Yeah, it's simply amazing to me what a wide range of symptoms can be called CP. As you know Mason also has mixed cerebral palsy but yet he did have damage to his white matter. I have never been officially told what type of mixed CP he has but reading the definitions I believe he is ataxic. He does have varying muscle tone - his legs tighten up when he is excited but they are generally loosey goosey (these are the actual words one doctor used). Thank you for writing this - I have a hard time explaining mixed CP to people because most people are more familiar with spastic. Now that I read your post I feel I can explain it better! Interesting. I just looked up ataxia. Did you know that there is a way to help people with balance problems? I read about it in The Brain that Changes Itself. It's a device you put on your tongue and it teaches your brain about balance if your inner ear (or the nerves to your inner ear, as would probably be the case for Mason) are damaged. Might be worth exploring. Otherwise, I'm glad this helped! You know - my daughter doesn't even have an official diagnosis of CP of ANY kind. Because her injury was after birth (at 11 months), they actually have her diagnosis "anoxic brain injury" rather than CP. This is true of people with traumatic brain injury and stuff too, I guess. Anyhow, because of that we don't have ANY of those terms you use above, even though anoxic brain injury is really the same thing. Reading your descriptions, I wouldn't even know - my daughter is very severely affected in all ways (we think) but during sleep is fully at rest, so who knows if she is spastic or not, but most would probably say she is, and also has dystonia, and both sides, all 4 limbs, blah blah blah. It actually doesn't matter too much - but most people don't understand what she "looks like" until I say it looks like she has severe CP. But there is such a huge range, CP is like a catch all, really, and having those diagnosis words you have above or lack of having those words changes not much at all of how we treat her in our rehab clinic, they never refer to these things, they just see what she needs and go from there. My son, now 27, did not receive enough oxygen during birth. He has damage to his basal ganglia. He was diagnosed over the years as mixed spastic quadriplegia, choreo-athetoid, cervical dystonia, extra-pyramidal tract etc. The terminology changed according to whether they were looking at his movements or the area of the brain damaged and also depended on how much was known. Recent terms are more specific to the damaged area of the brain as more is known about the brain and better equipment gives more information to the doctors. I was told many years ago that the majority of funding for services for children with special needs (CA) was more available with a CP diagnosis so many doctors were using that general term to make sure parents had access to resources. Thanks for those insights, Andrea. It's just wonderful to have someone further along in the journey. I remember seeing your son's website, but I don't think I got very far into it. I'll have to check it out again. I never really thought to ask if there is specific research for extrapyramidal. No, that's not true. I guess my husband looked for research. He said there was some drug that is being used to help people with a disease of the basal ganglia (I can't remember what it's called) but that it hasn't been tried for CP patients yet. In fact, I should check with him about that and see what's going on. Gosh I am very confused on the definitions now. My daughter of 10 months was dx with CP at 7 months, and it was noticed at 3.5 months. She did not meet her developmental milestones, by tracking and lifting her head. We have seen so many specialists and have had an US of the brain, MRI of the brain and have PT/OT/Vision/ and a developmental therapist working with my daughter since she was 4 months. Every test we have taken has been NORMAL, and the MD's can not explain how CP has come about for my baby. She was dx with congenital hypotonia and i was told 2 months ago to sign up for disability and MA b/c my baby probably will never walk or talk. I know my ped neurologist could end up being wrong and i will work hard to prove so, but this gives me ZERO answers on how this all happened. Any information helps! Please! Yes, unfortunately, there is a group of special needs kids out there who have no medical explanation. I'm blanking on the word right now, but I know that Heather's son Aidan has this: http://teamaidan.wordpress.com. I think it's called Non-diagnosed Global Developmental Delay. I can't imagine how hard it would be to have no explanation and no predictions for the future, although most cases of CP are like this too. Just because we can see the brain damage on a scan doesn't mean we know why it happened or what we can do about it. My daughter has CP too. She has a rare sort- spastic monoplegia. I've never heard of extrapyramidal CP though. CP is like autism in that there is also a spectrum ranging from mild to severe. Amelia has mild CP.